It’s been a busy year for the Toronto housing market, and it can be hard to keep track of how 2017 is stacking up in comparison to years past. 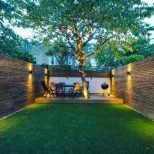 Toronto home prices plummeted over the summer on the heels of record growth in the first quarter of the year which culminated in the Ontario government introducing its Fair Housing Plan in April. 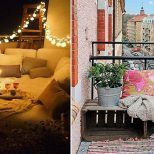 The Bank of Canada also hiked its overnight rate for the first time in several years with some market watchers predicting more action will be taken in December. Now, the market seems to be balancing out. But how does all of this compare to 2016? BuzzBuzzNews has rounded up 5 charts to put 2017’s ups and downs into perspective. 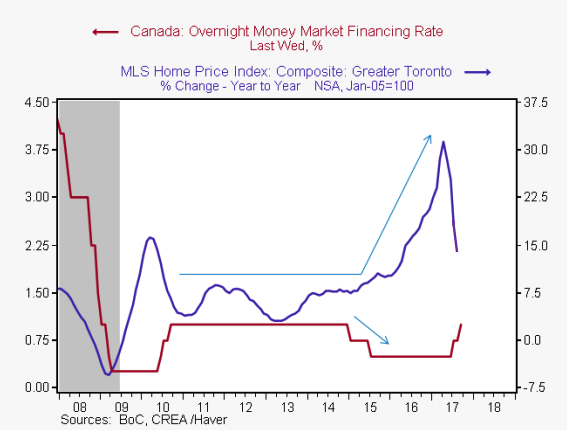 What’s going on here: BMO Senior Economist Robert Kavcic compared the Bank of Canada overnight rate to the MLS Home Price Index Composite for the GTA over the last 10 years. 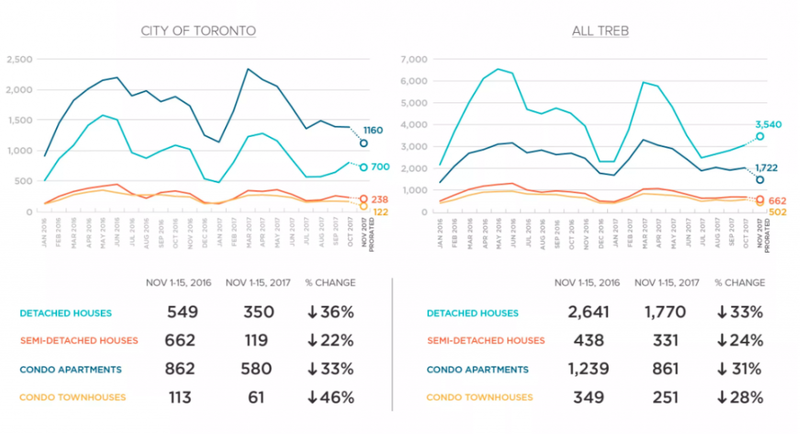 What’s going on here: Toronto-based real estate website Zoocasa compared November 2016 home sales in Toronto and the GTA to November 2017 sales. The takeaway: Higher interest rates and Ontario’s Fair Housing Plan have led to a significant year-over-year dip in sales across all home types. 3. 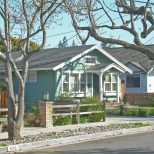 Will Toronto’s housing correction mirror Vancouver’s? 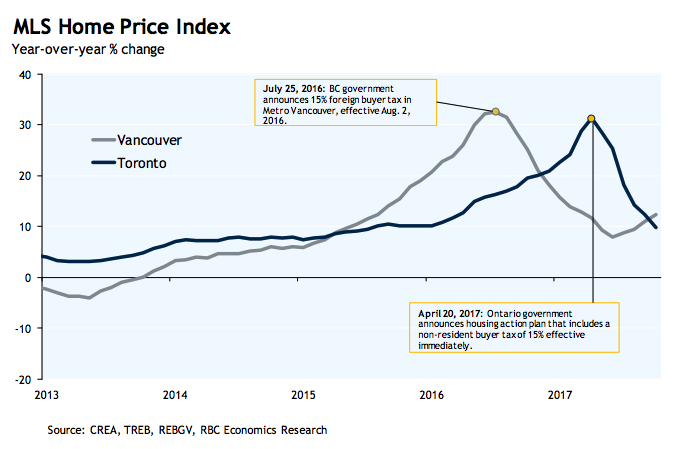 What’s going on here: RBC Senior Economist Robert Hogue tracked the MLS Home Price Index for Toronto and Vancouver over the last four years. The takeaway: After the BC government introduced a foreign buyer tax in August 2016, prices plummeted. But now we can see them start to rise to pre-tax levels. 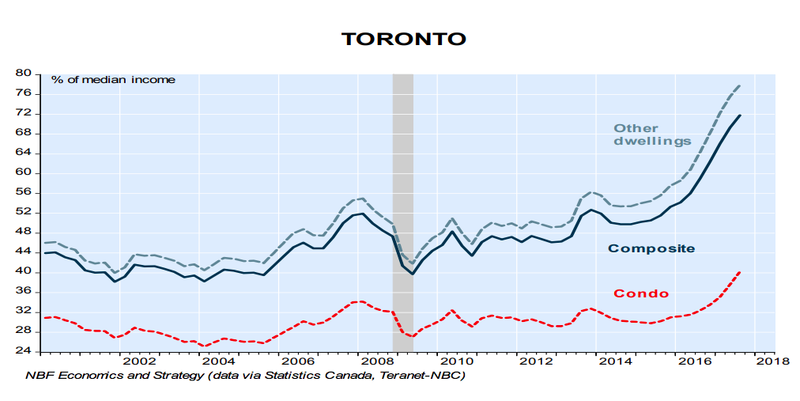 Will Toronto’s home prices — also down after the introduction of Ontario’s Fair Housing Plan — follow a similar pattern? 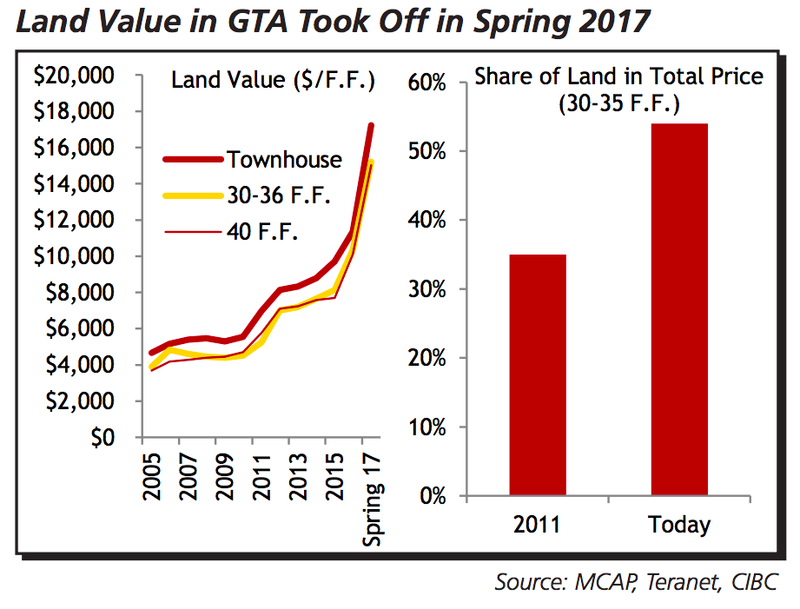 What’s going on here: CIBC Senior Economist Benjamin Tal looked at the climbing cost of land value in the GTA, which has risen dramatically in the last two years. What’s going on here: National Bank economist Matthieu Arseneau looked at the rising rate of mortgage payments as a percentage of monthly income.